There has been great deal of press about the new Design Director of Tiffany & Co., Francesca Amfitheatrof. She is the first woman to have this position at the storied American jewelry company. The job had been vacant for five years. Ms. Amfitheatrof had some big shoes to fill. Ms. Amfitheatrof, who trained with a master silversmith in Padua after college, has created pieces for Chanel, Alessi, and Fendi. She was born in Japan to an Italian mother and a Russian-American father, who was a TIME bureau chief, and grew up in New York, Rome, London, and Moscow. I love her new collection for Tiffany. This bracelet is so simple and so chic. I have read some comments claiming that this collection is not all that. It’s TOO simple, “Hello it’s just a T. My kid could do that.” I cringe when I hear people make those kind of statements about any kind of creative endeavor. The simpler something is, the easier it is to mess it up. Look at Cacio e Pepe, not many ingredients but a difficult dish to execute well. There are no bells and whistles to hide imperfections. Every single ingredient has to be of excellent quality. 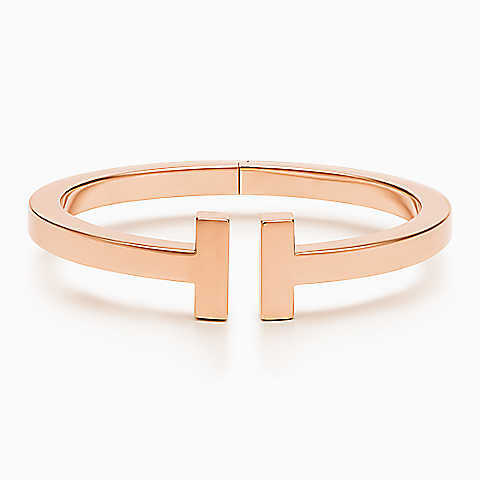 It’s is the same thing with these bracelets (yes, I just compared high-end jewelry to a simple Roman pasta dish). You can wear these bracelet with many different styles of clothing. I think they are destined to become classics like some of Elsa Peretti’s pieces. 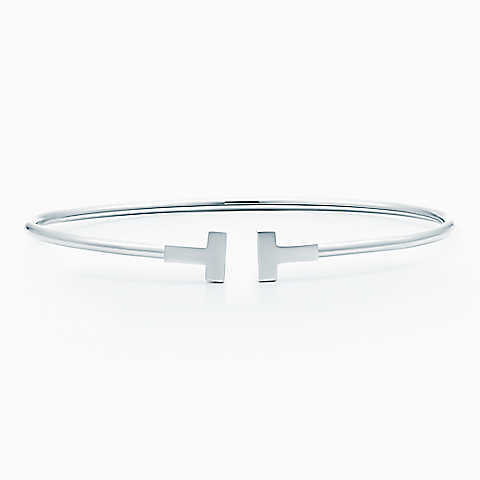 The Tiffany T bracelet is the very definition of Stylish Simplicity. I agree. It’s wearable art. Absolutely beautiful! Thanks for showing these off to me. This is the sort of simplicity that is timeless and anyone who doesn’t understand the complexity of design is truly simple-minded. Of course what is considered beautiful is very subjective. However, it’s one thing to say, “I don’t like these bracelets” but to state that are they too simple and a kid could design them, is insulting. Francesca has over 20 years of design experience. Come on now. Would be so happy to own one. Might have to put into my 5 favorite things for this week..and you are so spot on on the difficulty of simplicity. I would love to own one (or two of the thin ones) of them as well. So beautiful.